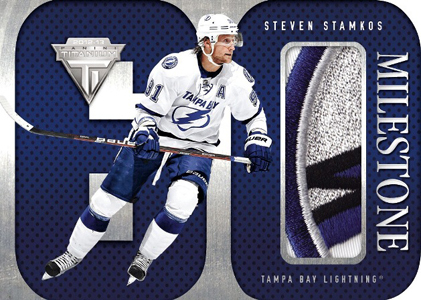 2012-13 Panini Titanium Hockey returns as a hit-per-pack product. The brand's trademark rookie cards also return, providing set builders with one of the hobby's toughest challenges. The base set has 100 cards. 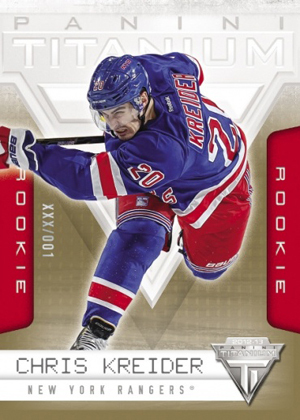 Depending on NHL lockout, there are up to 100 rookie cards including 50 hobby-exclusive Hobby Gold Rookies and Gold Draft parallels. Hobby Gold Rookies combine to fall one per case and are numbered to the player's jersey number. In the past, this has meant one-of-one rookie cards and several that are available in extremely low quantities. The hobby version has a different design from retail cards. Several insert sets are also hobby exclusives. These include Ruby parallels that are numbered to the player's jersey number and Gold parallels numbered to the draft position. Five-pack hobby boxes deliver five hits, including at least one autograph. 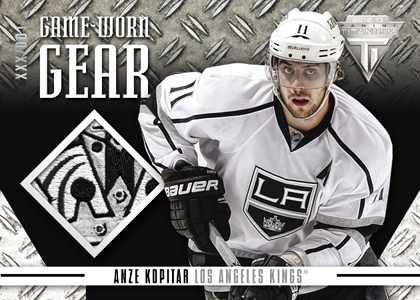 Game-used memorabilia inserts include die-cut Milestone Goal Scorer jersey cards Four Star Memorabilia and Game Worn Gear. Rookie Six Star Memorabilia highlights six different types of equipment. Signed cards include Metallic Marks Autographs. If Panini is putting it out, it”s gotta be crap. How many Jaden Schwartz cards do you need? 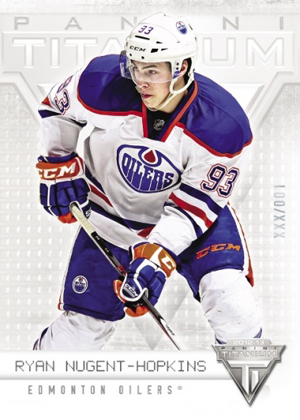 Why don’t these stupid bleepin’ card companies quit producing hockey cards until the players and owners start showin’ us some hockey. I’m begging Panini, Upper Deck, and In the Game to quit enabling these morons by puting this absolute garbage in front of us all the time. The above rating is not an assessment of the product.